The new Consumer Rights law coming into force on 1st October 2015 is significant: it introduces new rights for consumers as well as consolidating a lot of existing legislation, and it applies to almost all contracts between traders and consumers. And for the first time, digital products are included specifically in the law. These new provisions will affect everything from smartphone apps to streamed songs, movies, e-books, games, and business products such as design templates and even our own editable ready-made contracts. A ‘consumer’ is an individual acting for purposes that are wholly or mainly outside that individual’s trade, business, craft or profession. A ‘trader’ is a person acting for purposes relating to that person’s trade, business, craft or profession and it includes public sector authorities and government departments. This is the first legislation to establish standards for the supply of digital content which is defined as: “data which are produced and supplied in digital form”. (A somewhat circuitous definition, with questionable use of the word ‘data’ as a plural noun). 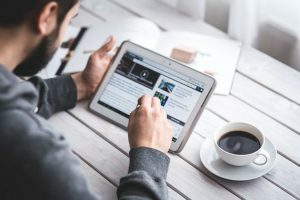 The law applies whether the digital content is paid for or is supplied free of charge with other goods and services which are paid for by the consumer. the trader has the right to supply it. If, before the contract is made, a consumer makes known to the trader a particular purpose for which the digital content is required, then it has to be fit for that purpose even if it is not usually supplied for that reason. If the trader has the right to modify the digital content, then the satisfactory quality and other standards mentioned above apply also to the modifications. A price reduction if (a) the trader has been asked for repair or replacement and failed to comply or (b) repair or replacement is not possible or is disproportionate. The reduction could amount to a full refund where appropriate. These remedies do not prevent a consumer from claiming damages or some other remedy in court such as an order for specific performance of the contract. But recovering twice for the same loss is not allowed. The Consumer Rights Act can be found here. This entry was posted in UK Law and tagged consumer rights, digital products. Bookmark the permalink. If you get arrogant, you lose your way and start making mistakes.